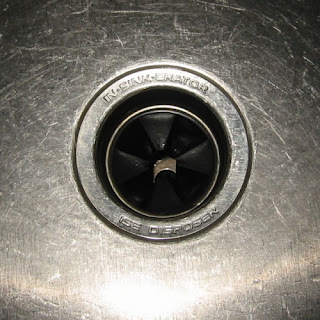 Viv Biz Club Blog: Are Garbage Disposals Eco-Friendly? I was wondering about this recently and found a fantasticTreehugger write-up on the issue. I highly recommend reading the article (including comments) if you want the full scope. (Also, they’re a bit biased, but the Insinkerator folks have a fairly solid video detailing what happens to food waste when it goes down a garbage disposal). Composting is always the preferred method to dispose of food waste. 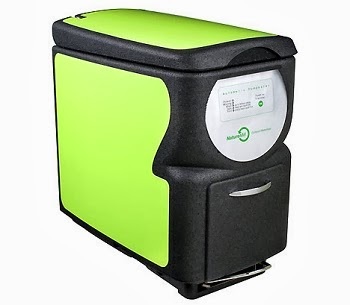 If you don’t have access to curbside composting or do not want to start & tend a compost pile in your backyard, I’d recommend trying a Naturemill. Naturemill Indoor Composter: Arul’s brother recently purchased one (good work Bhu!) and I have to say it was pretty awesome. It’s small, fits in your kitchen, and churns / oxidizes food scraps so that they heat up and break down quickly… replicating the conditions of an industrial composting facility (full post on this product coming soon). If you’re unable to compost (and really most folks who can afford a Naturemill should be able to), then typically, putting food waste down a garbage disposal is your next best option. There are two main benefits from using a garbage disposal as opposed to just placing food waste in the trash, including: 1) energy savings (less trucks hauling trash to landfills) and 2) reduced food waste in landfills (some of the bio-solids that end up in Waste Water Treatment Plants, WWPTs, are turned into fertilizer). Room for debate: It is important to note however that when food waste breaks down in an anaerobic environment (landfills & WWPTs are typically anaerobic environments), the food waste produces methane gas. There’s a stronger movement amongst landfills (relative to WWPTS) to re-capture that gas and prevent it from entering our atmosphere (where is it 21 times as potent as CO2). If you live in California, where methane re-capture is required for all new landfills, it may be better to have your food waste hauled to a landfill (though again – compost first).